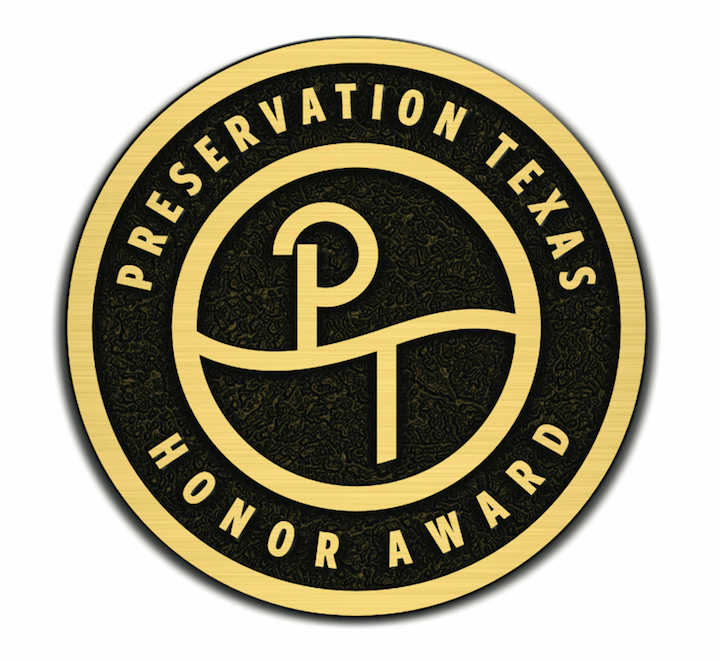 Preservation Texas is accepting nominations for its 2018 Honor Awards. 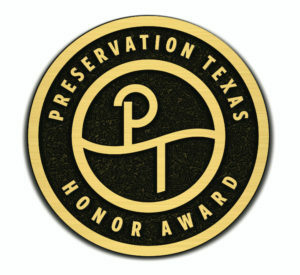 Preservation Texas Honor Awards recognize exemplary preservation, restoration, rehabilitation and reconstruction projects that adhere to the Secretary of the Interior’s Standards. Honor Award-winning projects will be recognized at the 2018 Preservation Texas Summit in historic downtown Brownsville on Tuesday evening, February 27, 2018, as well as in press releases, on our website and in our quarterly Preservation Texas magazine. Awards are presented to both residential and non-residential properties. Award-winning sites or buildings may be privately or publicly owned. The project must have been completed within the last three years. Partially-completed projects are generally not well-received by juries and are best submitted when the project is complete. Applicants must be current members of Preservation Texas at any level (basic membership is $30). A nonrefundable $32.50 Honor Award application fee is required. Submissions are confidentially reviewed by a jury of Preservation Texas members from a variety of disciplines. Feedback on unsuccessful nominations cannot be provided. Projects may be rejected for any reason. All nominees will be notified via e-mail as to whether or not their project will be recognized with an Honor Award. Award recipients are expected to be able to attend the 2018 Honor Awards presentation in Brownsville on the evening of February 27, 2018. Award recipients will be eligible to purchase a permanent, cast bronze Preservation Texas Honor Award plaque (depicted above) for $400 that is intended solely to be affixed to the award-winning site or building. Nominations are due by close of business (5:00 pm CST) on Friday, January 5, 2018. Please submit your nomination by following this link.